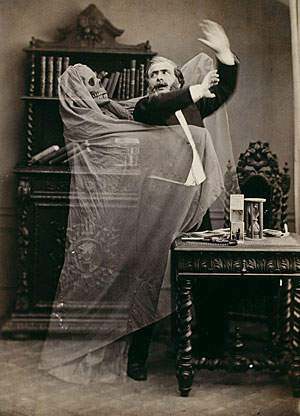 Early photography coincided (perhaps not coincidentally) with a spike in spiritualism, mediums and magic. Because the common person did not understand the mechanics of photography, it was relatively easy to trick them with photographs — something that could only show reality. 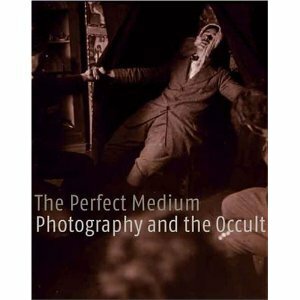 The Perfect Medium is a well written book with hundreds of such photos. The era, the mentality and the desperation to believe in ghosts is so very evident. Here are some photos typical of the era. 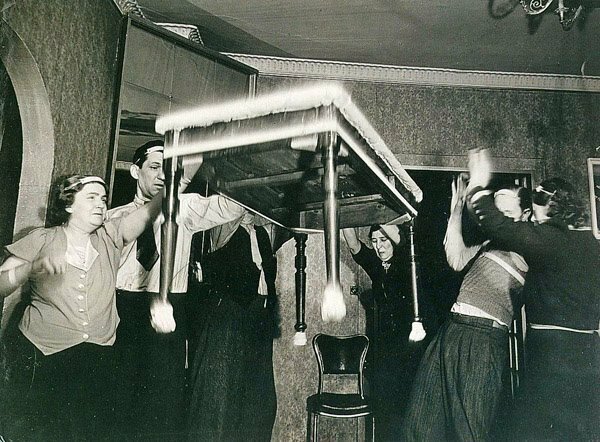 Have you ever been to a seance? Or taken a photograph with strange results?